Paediatric First Aid Training – This QA Level 3 Award in Paediatric First Aid Training (RQF) qualification is ideal for those who work or intend to work in a childcare setting as it has been specifically designed to fulfil Ofsted’s first aid requirements for early years teachers, nursery workers and childminders (as defined within the Statutory Framework for the Early Years Foundation Stage 2014 and within the Child Care Register guide). Looking after children carries professional and moral responsibilities. Children and toddlers are more prone to accidents and illnesses and our 2 day Paediatric First Aid training course enhances the knowledge and skills of course participants in regard to their responsibilities and associated actions as Paediatric First Aiders. This 2 Day Paediatric First Aid course can be delivered directly in your work environment for 6-10 delegates for a group cost of only £690.00 +Vat. Alternatively, we do offer the Paediatric First Aid Training ‘Open Courses’ as below! Who should you attend the paediatric first aid training 2 day course? All childminders, registered nannies and certain members of nursery staff in group settings in England and Wales must hold an appropriate valid paediatric first-aid certificate. This is a requirement of anyone registered with Ofsted in England, or CSSIW in Wales. The first-aid certificate should be updated every three years. The first aid for child carers/paediatric first aid course is designed for people caring for children in any setting. It is suitable for au pairs, nannies, childminders, nursery and pre-school workers, sport and leisure staff, crèche leaders, parents and anyone responsible for the welfare of children. Normally 9:30am – 4:30pm – We are flexible with starting times to meet the needs of your business. The paediatric first aid training 2 day course can be delivered over 2 consecutive days (preferred) or over 2 separate days within a 6 week period to suit the needs of your business. The two day paediatric first aid training course will focus on emergency scenarios that are faced by many professionals who look after young children in their daily duties. At the end of the course all delegates will be confident to deal with most situations that may arise when caring for children and babies. 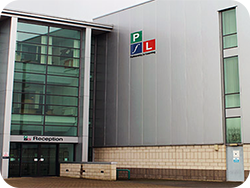 All our courses are taught by specialist training Consultants with a solid background in paediatric accident and emergency, who are also qualified to teach adult learners. Prior to us attending on site to deliver the Paediatric First Aid Training 2 Day course we can discuss your business background and child care environment in order to make the training course bespoke and more specific to your needs. 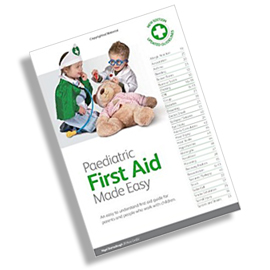 Includes a FREE Paediatric First Aid training manual because this is a fully accredited first aid course you can be assured that you have fulfilled your legal responsibilities for providing quality first aid training to your staff. We will always be updating our course content and implementing changes as required by the HSE in delivery of our 2 Day Paediatric First Aid Training courses. Candidates will be assessed by ongoing practical assessment throughout the course by the tutor. There will be multiple choice question paper to answer in respect of their knowledge. A Level 3 Award in Paediatric First Aid (RQF) certificate will be issued to the delegate subject to successfully completing the assessment which is accredited and valid for 3 years. A maximum of 12 delegates can be accommodated on this course and candidates must be aged 16 years or over. For more information on our Paediatric First Aid Training courses or any other training course offered by Training Solutions North West and how we can help you find the right training courses for your business please email us. Or alternatively, call us on 0151 515 0416 and speak with one of our training Consultants. This Level 3 Award in Paediatric First Aid Training (RQF) qualification is ideal for those who work or intend to work in a childcare setting as it has been specifically designed to fulfil Ofsted’s first aid requirements for early years teachers, nursery workers and childminders.